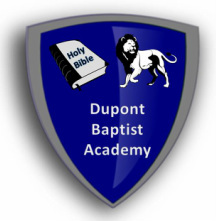 More than a Private School: We are a Baptist School, teaching Baptist Doctrine. We use and teach only the King James Bible. It is extremely important that our students be faithful to Sunday School, Sunday morning, Sunday night, and Wednesday night services unless providentially hindered.